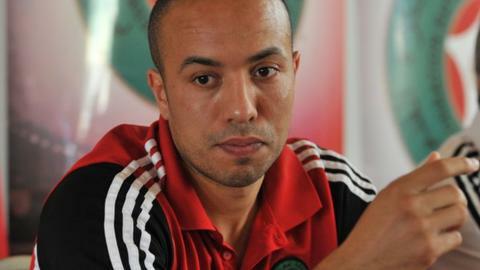 Former Morocco captain Houssine Kharja has signed for Romanian champions Steaua Bucharest. The widely-travelled Kharja, now 32, joins as a free agent after leaving French club Sochaux in the summer. "Steaua are a team with a glorious history and impressive performances in Europe," the midfielder said after passing a medical on Friday. Steaua won the European Cup in 1986 but are currently fifth in the Romanian league, four points off the top. Kharja, who boasts 12 goals from 75 internationals, spent over a decade in Italy - with Inter Milan, AS Roma and Fiorentina - before making a lucrative move to Qatar for the 2012-13 season. The midfielder was released after a year with second division Sochaux, and is now eyeing a successful title defence with the 26-times champions of Romania. "Of course, we have the chance to win the championship, it's still early in the season," Kharja said. "We're a only a few points behind Astra and I hope we'll manage to cut the difference. I am excited."